Cannabis was a part of the American pharmacopoeia until 1942 and is currently available by prescription in the Netherlands, Canada, Spain, and Israel in its whole plant form. In 1937, the U.S. passed the first federal law against cannabis, despite the objections of the American Medical Association (AMA). Dr. William C. Woodward, testifying on behalf of the AMA, told Congress that, "The American Medical Association knows of no evidence that marijuana is a dangerous drug" and warned that a prohibition "loses sight of the fact that future investigation may show that there are substantial medical uses for Cannabis." Ironically, the U.S. federal government currently grows and provides cannabis for a small number of patients. In 1976 the federal government created the Investigational New Drug (IND) compassionate access research program to allow patients to receive up to nine pounds of cannabis from the government each year. Today, five surviving patients still receive medical cannabis from the federal government, paid for by federal tax dollars. In 1988, the DEA's Chief Administrative Law Judge, Francis L. Young, ruled after extensive hearings that, "Marijuana, in its natural form, is one of the safest therapeutically active substances known... It would be unreasonable, arbitrary and capricious for the DEA to continue to stand between those sufferers and the benefits of this substance..." Yet the DEA refused to implement this ruling based on a procedural technicality and resists rescheduling to this day. In 1989, the FDA was flooded with new applications from people with HIV/AIDS. In June 1991, the Public Health Service announced that the program would be suspended because it undermined federal prohibition. Despite this successful medical program and centuries of documented safe use, cannabis is still classified in America as a Schedule I substance “indicating a high potential for abuse and no accepted medical value. Healthcare advocates have tried to resolve this contradiction through legal and administrative channels to no avail. In 1996, patients and advocates turned to the state level for access, passing voter initiatives in California and Arizona that allowed for legal use of cannabis with a doctor's recommendation. These victories were followed by the passage of similar initiatives in Alaska, Colorado, Maine, Montana, Nevada, Oregon, Washington, and Washington D.C. The legislatures of Hawaii, Maryland, New Mexico Rhode Island, and Vermont have also acted on behalf of their citizens, and every legislative session sees more bills introduced at the state level across the country. 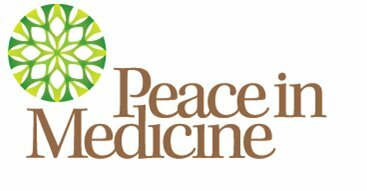 In 1997, The Office of National Drug Control Policy commissioned the Institute of Medicine (IOM) to conduct a comprehensive study of the medical efficacy of cannabis therapeutics. The IOM concluded in 1990, that cannabis is a safe and effective medicine, patients should have access, and the government should expand avenues for research and drug development. The federal government has completely ignored its findings and refused to act on its recommendations. Despite the federal barriers to research, hundreds of peer-reviewed studies have been published worldwide since the IOM report. While there is still much to learn, the medical potential is indisputable for a variety of symptoms and conditions. Medical cannabis patients and current Executive Director Steph Sherer founded Americans for Safe Access (ASA) in 2002 in response to federal raids on patients in California. Ever since then, ASA has been instrumental in shaping the political and legal landscape of medical cannabis. Our successful lobbying, media, and legal campaigns led to positive court precedents, new sentencing standards, more compassionate legislative and administrative polices and procedures, as well as new legislation. ASA protects the rights of cannabis patients. We are working to change federal policy to meet the immediate needs of patients as well as create long-term strategies for safe access and programs that encourage research. 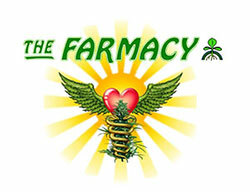 Implement the Institute of Medicine recommendations, provided in its 1999 report, Marijuana and Medicine.